The Internet Archive has something for everyone. Books, music, film and more, usually copyright free or opensource. 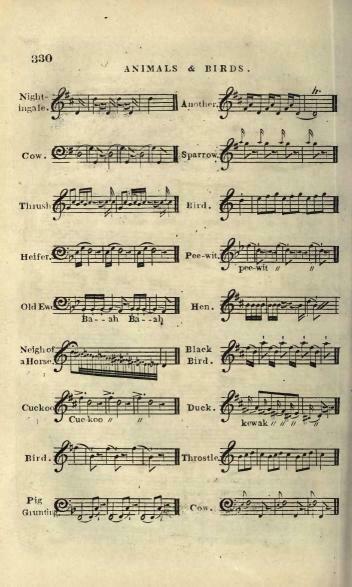 “The Music of Nature, or, An Attempt To Prove That What is Passionate and Pleasing In The Art of Singing, Speaking, and Performing Upon Musical Instruments, Is Derived From The Sounds of The Animated World” by William Gardiner , published in 1832. I have read a several books written by musicians, historians and mystics who have expressed that the origins of what is considered musical is based on principles found within the natural world. 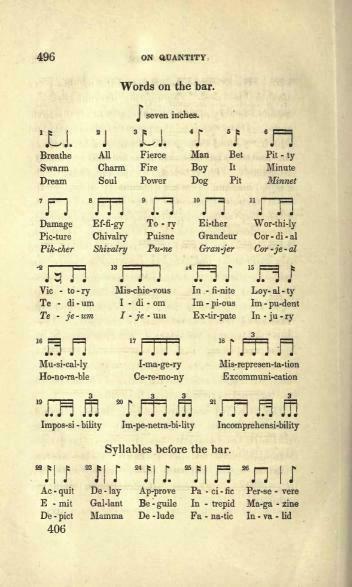 One of the more interesting features of this book are the musical transcriptions of bird songs, the sounds of various animal, and the rhythm and tonal inflection of human speech. I include a few of the transcriptions below. Wow. 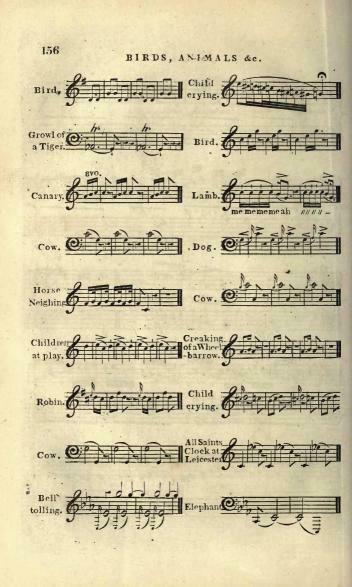 As someone who basically could not make heads nor tails of ear training class in college, it’s amazing to me that someone would attempt to transcribe a Tiger growl, a cow or dog. Maybe a canary, right?